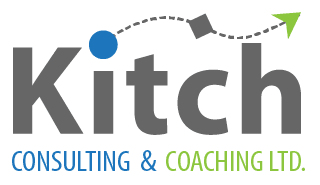 Kitch Consulting represented by Felicia Linch was appointed in 2016 as program director, for the Turks and Caicos Government’s Business Reform strategy, originally developed in 2014 and supported by the European Union Development Fund. The programme was relabeled as The Business Transformation Strategy to highlight the fact that the focus was not as much on reforming practices as it was on innovation. To engage key public and private sector stakeholders a competitiveness conference was convened by Invest TCI at which Felicia was a presenter. Her presentation drove home in a simple but forceful way the origins of prosperity contrasting it with the classical theory on the subject of national competitiveness. Concluding that competitiveness is achieved through increased productivity by upgrading services and product through innovation. She was emphatic that national competitiveness in the end creates national prosperity as opposed to a country’s natural endowments, and the ease of doing business facilitates productivity. Felicia’s presentation was significant and to the point; it left no doubt that “The Business Transformation Strategy” can only be achieved through active involvement of all stakeholders, with the key influencers being Turks and Caicos Government and the local private sector. Her comprehensive grasp of the modern theory of national competitiveness makes her ideally suited as a facilitator in this crucial area of tremendous importance to resource challenged small countries.